Will be revealed next week in Detroit. 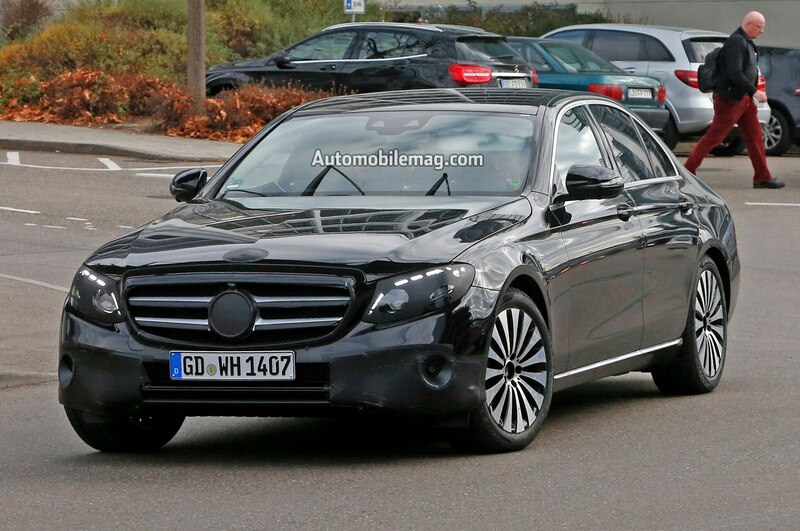 After an earlier teaser, we have another good look at the 2017 Mercedes-Benz E-Class sedan. 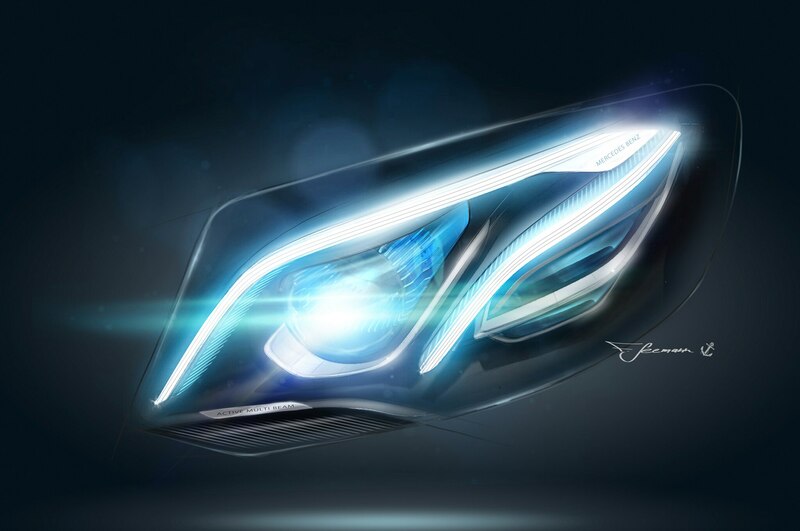 The video revealed by Mercedes-Benz helps drum up more anticipation for the official unveiling of the new E-Class at next week’s 2016 Detroit auto show. 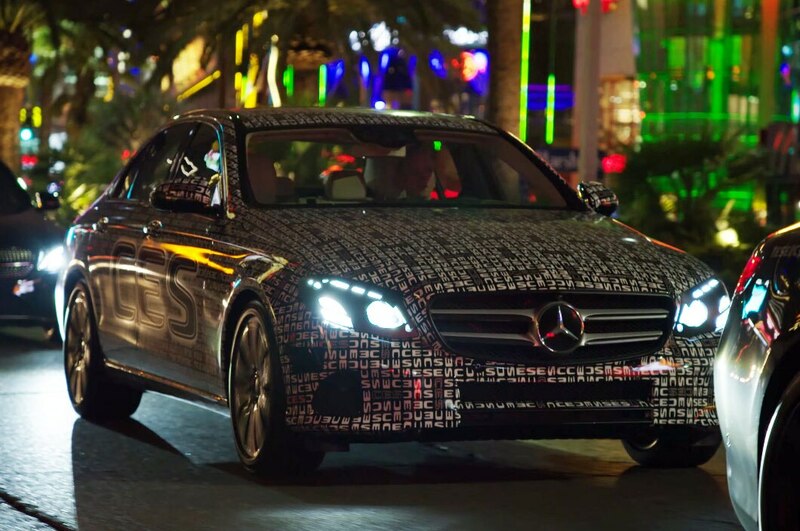 As a trio of Mercedes-Benz models cruise the Vegas strip, we can see the 2017 Mercedes-Benz E-Class accompanied by an S-Class coupe and a C-Class sedan. 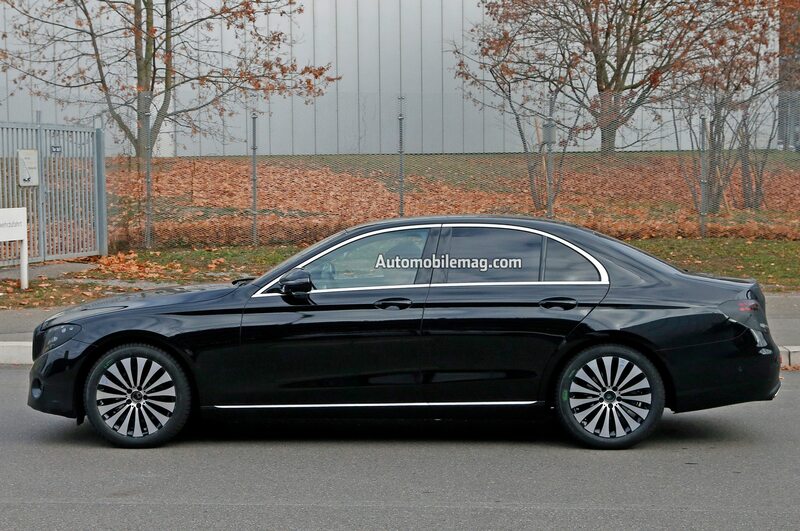 The family resemblance is clear as the three cars move in sync, with the E-Class displaying the same elegantly sweeping lines as its stablemates. 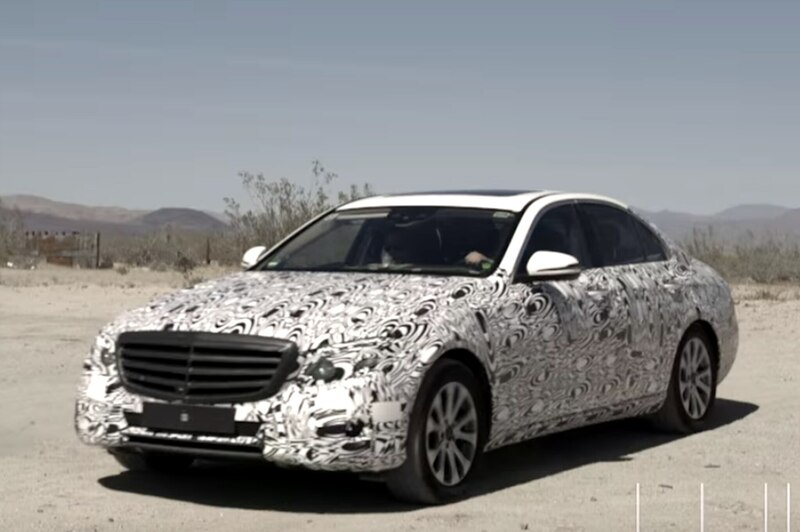 Based on the video, we don’t foresee any major deviations from our earlier spy shots, which revealed the new luxury sedan almost fully uncamouflaged. 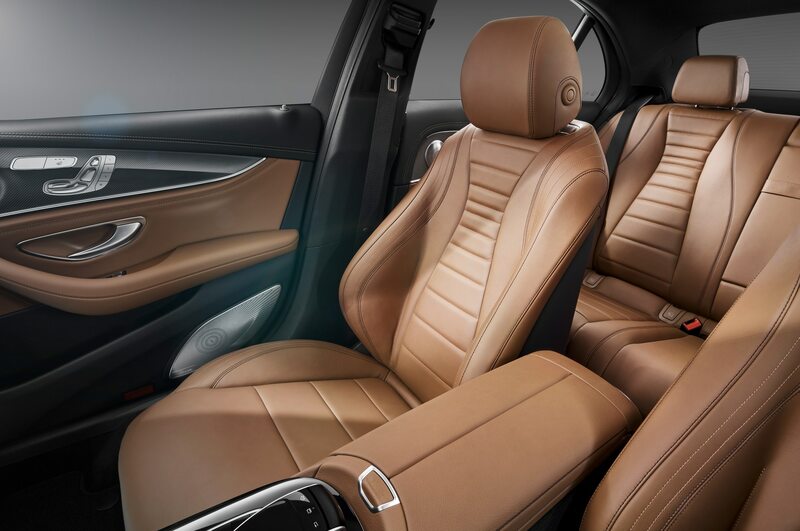 We’ve also already seen the finalized interior, which boasts a blend of C-Class sportiness and S-Class luxury. 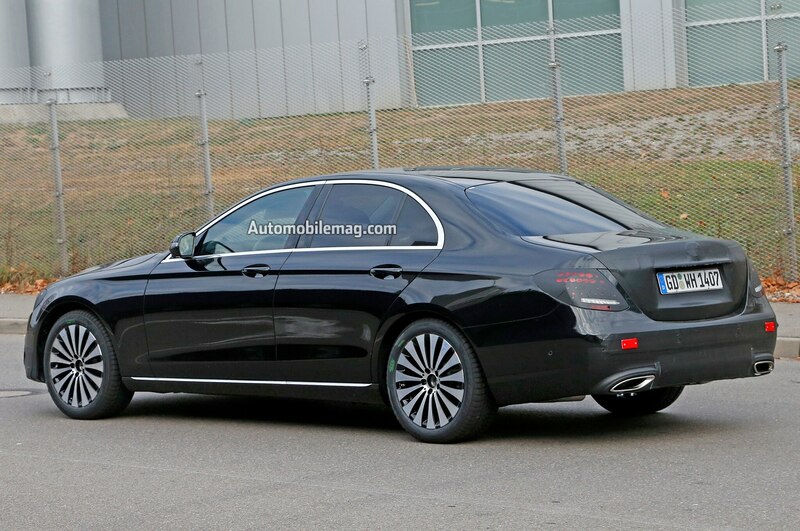 Although Benz hasn’t confirmed what’s under the hood, the rumor is that the 2017 Mercedes-Benz E-Class will usher in a new family of inline six-cylinder engines to replace the current V-6 engines. We expect the base model will offer a 2.0-liter four-cylinder turbo, while the upper ranges will receive a 3.0-liter turbocharged six-cylinder engine potentially offered in various states of tune. Down the line, there will of course be a full-on AMG version with the glorious 4.0-liter twin-turbo V-8 from the AMG GT and C63 AMG. 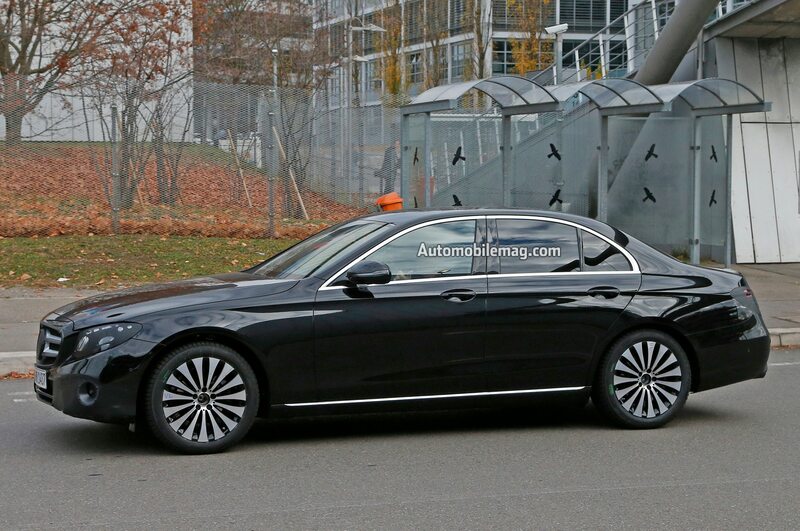 Diesel and plug-in hybrid versions are also earmarked. 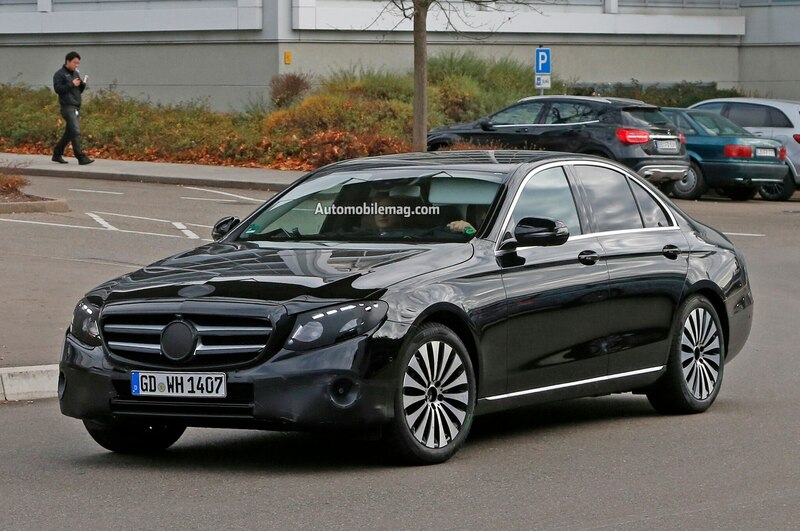 New tech is another big story for the E-Class. Some of the key upgrades include remote parking, collision sound mitigation, high-resolution LED headlights, and the ability to use a smartphone as a key. 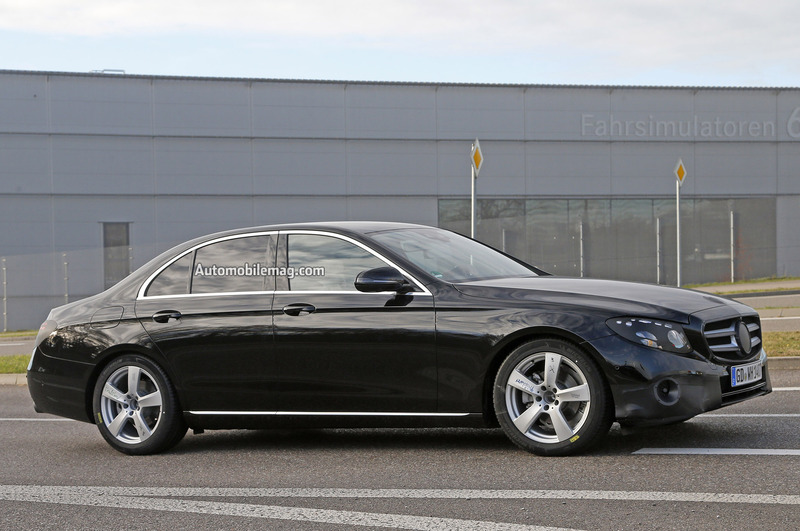 Check back soon for more on the 2017 Mercedes-Benz E-Class after its official debut next week.